Sugar pines are the world's largest species of pine and have the longest cones - but they are dying from white pine blister rust, a non-native, invasive fungus! 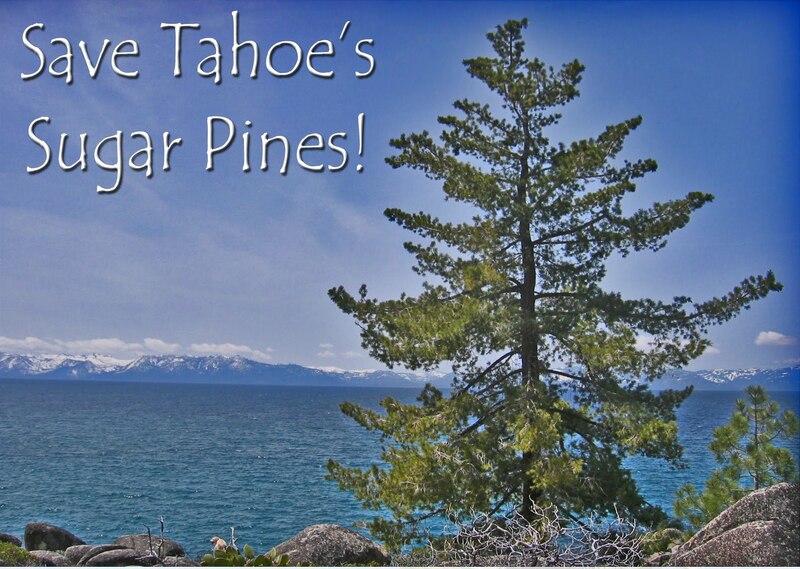 Historically 25% of Lake Tahoe's forests, sugar pines now make up less than 5% of the forest composition. We find trees that are resistant to the fungus, then we collect their cones and plant their progeny. You have an opportunity to be a part of the preservation, protection, and restoration of our beautiful forests. Join us at a planting, on a guided hike, or partner with us to organize a stewardship project or a fundraiser! 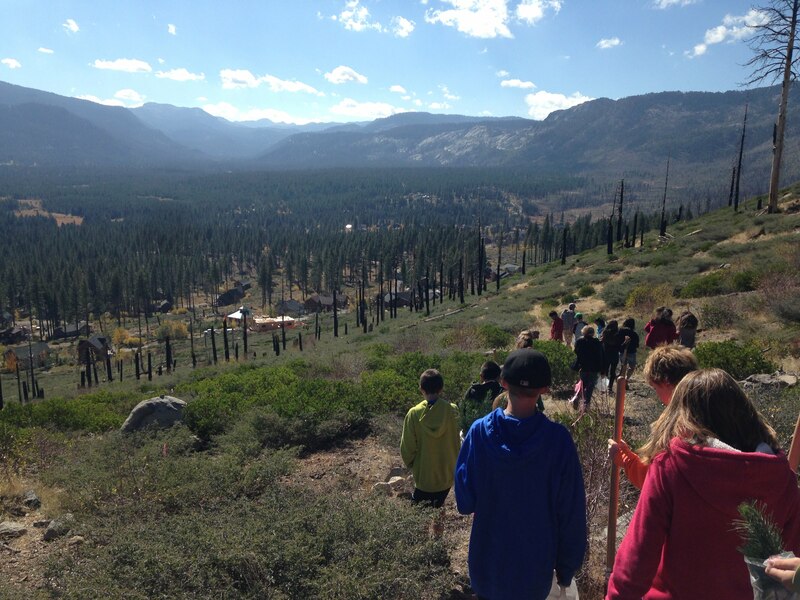 We organize events year-round to educate local students, community members and visitors alike about Tahoe's forests and the problems facing sugar pines and other white pines. The Sugar Pine Foundation is a 501(c)3 non-profit organization dedicated to saving Lake Tahoe's sugar pines and other white pines from blister rust by educating and involving Tahoe area students and community members of all ages in hands-on forest stewardship. Since 2008, we plant 10,000 trees per year with local volunteers and crews! Please click to read more about all of our Achievements! Every purchase from our Store helps us plant more trees in the Tahoe Basin and beyond! We have great gifts for friends, family, and colleagues. 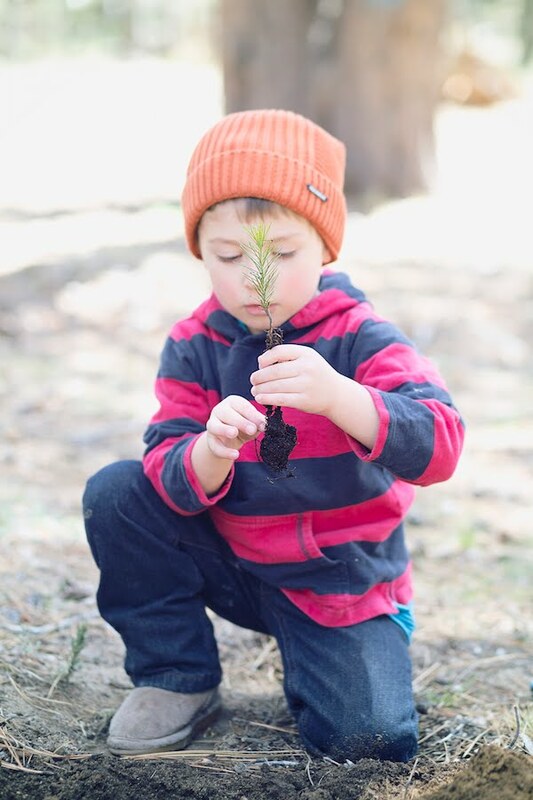 Purchase our tree seedlings, sugar pine seeds, sugar pine cones, Patagonia Organic Cotton T-shirts, ART, and much more! We are proud to have been a member of the 1% For the Planet Network since 2011! Through 1% , Businesses and Individuals can support us by dedicating 1% of yearly earnings to our cause!